Although I love my locally produced Ontario maple syrup, Quebec actually produces a majority of the maple syrup crop harvested in Canada each year. 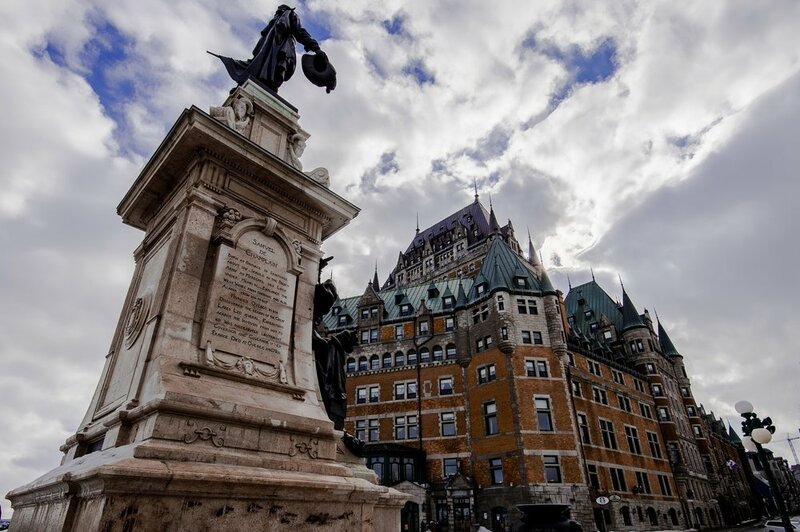 Quebec is another stunning province within this great country of Canada. The last time I travelled to Quebec was in 2011 to enjoy a summer vacation with my hubby. I remember immediately being swept away by the European ambiance and the historic beauty of the buildings and preserved history. The French language adds another layer of sophistication and romance to it all. Truth be told, maple syrup sounds far more sophisticated in French ... le sirop d'érable! The process to produce maple syrup is a fascinating phenomenon of nature. If you haven't seen this in action before, I would highly recommend that you go on a tour of a sugar bush, where the magic happens! Long story short, it takes about 40 litres of sap to produce 1 litre of syrup! I try not to take sides when it comes to natural sweeteners, but one thing is for sure and that is that I wholeheartedly support local producers of both maple syrup and honey and you will find both of these items in my house all the time. The same cannot be said for sweeteners like agave nectar or coconut sugar. Maple syrup is sugar, and yes, we shouldn't drink it by the litres, but I love that we get much MORE from it then sugar; in fact, we get lots of minerals which are essential for health. Maple syrup contains an excellent source of manganese (role in energy production and antioxidant defenses), riboflavin (involved in metabolism), zinc (involved in immunity) and other minerals including magnesium, calcium and potassium. Did you now that the ratios of the sugars naturally present in syrup shift throughout the season, as well as the levels of amino acids and minerals? These natural shifts affect the colour and flavour (think light vs dark syrup), but not the quality. Lighter syrup is produced earlier on in the season and the darker syrups are produced towards the end of the harvest. If you want to use maple syrup as a substitute for white granulated sugar in a recipe, try using 2/3 cup of maple syrup for every 1 cup of white/refined sugar, reduce the liquid ingredients in the recipe by 1/4 cup and lower baking temp by 25 F. If substituting for another liquid sugar, use a 1:1 substitution. The quintessential "maple syrup foods" like pancakes, waffles, and other sweet desserts get most of the attention when we think of nature's perfect syrup. However, often overlooked, are the savoury dishes, and marinades and dressings used with this liquid gold. So, I thought I would jump outside of the norm and share with you one of my go-to roasted veggie recipes. Roasting vegetables is the perfect way to spice up your drab relationship with veggies. I often hear from clients that eating vegetables is challenging for a number of reasons, one of which usually includes a lack of taste. Au contraire!! Roasting vegetables will transform your run-of-the-mill veg side dish into an epic flavourful adventure! You will never return to your microwaved frozen veggies again! In a small bowl, combine the oil, syrup, mustard and herbs. Pour this mixture over the vegetables and use your hands to toss and thoroughly coat the vegetables. Add a dash of salt and pepper, if desired. Roast the vegetables for 30-40 minutes, tossing them once half-way through the cooking time. Vegetables should be golden brown and a fork should easily pass through. Fédération des producteurs acéricoles du Québec. Retrieved March 30, 2017 at www.fpaq.ca/en. Pure Canada Maple. Retrieved March 30, 2017 at www.purecanadamaple.com. Canadian Nutrient File. 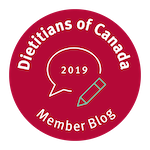 Retrieved March 30, 2017 at https://food-nutrition.canada.ca/cnf-fce/index-eng.jsp.